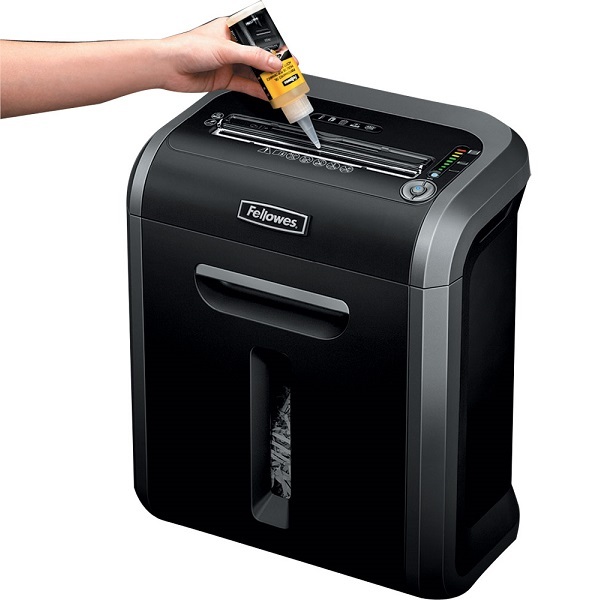 Stylish shredder ideal for light/medium usage for 1-3 users. 16 sheet capacity - 3.9 mm x 38 mm Cross (Confetti) Cut (security level 3) - 230 mm throat width for A4 documents. Duty Cycle: Maximum 12 minutes runtime before a cool down period is needed. Recommended daily capacity of 250 sheets. Sleek, modern design cross-cut shredder on castors with brakes ideal for moderate use for 1-3 users. The Powershred® 79Ci provides higher security shredding of 16 sheets at a time into 3.9 x 38mm cross-cut pieces. SilentShred® Technology minimises disruption in shared work spaces. Shreds for up to 12 minutes before a 20-minute cool down period is needed. 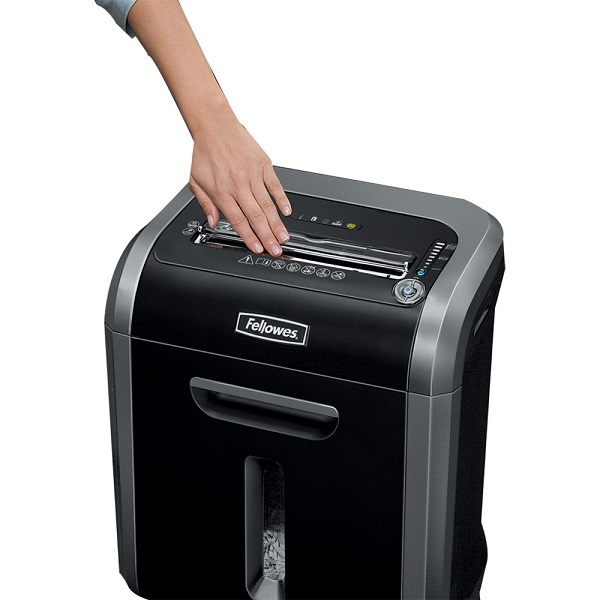 Download our Fellowes Powershred 79Ci Deskside Shredder brochure for detailed specifications.